Top Romantic Beaches In Michigan. All the beaches in Michigan have their own special romantic appeal. 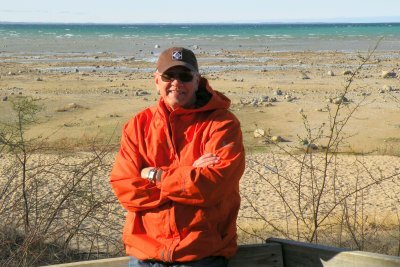 I love exploring the beaches in Michigan. 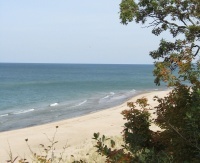 We want to show you beaches in Michigan that allow you to get away from the crowds if you choose. Where you can find your own special piece of paradise. Michigan beaches you may not know of, and you will want to return to time and time again. Who wants some Michigan beach sand? If you can get away during the week, you'll find these beaches a little less crowded and many won't require parking fees. Please be aware of rip currents when swimming in Lake Michigan. Every year this lake will claim those who disregard warnings or loose respect for it. 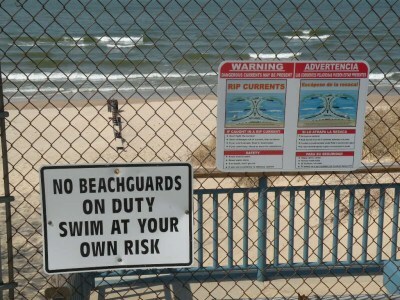 Lifeguards or not, please be careful! This lake is beautiful but dangerous! Here is info that can help save you time by avoiding beaches that may be closed. Michigan does a good job of monitoring water quality on a daily basis. Click Here and get a county by county beach report of closures or advisories. Below are our picks for some of the best Michigan beaches. Sunsets ... to die for ... I won't even use all the adjectives. They have to be seen to be appreciated. One reason we put up the webcams page is so you can enjoy great beach views year-round. What are your picks for best beaches in Michigan? Tell Us about your favorite romantic beach. Cherry Beach near the southwestern town of Harbert is small with limited parking. The observation deck allows you to view the lake in the shade and is handicap accessible. Pack a lunch or take a book to relax on the deck. Steps to a beautiful secluded beach. No lifeguard. Weekends are for Chikaming residents or property owners. Free parking. Take Red Arrow Highway to Cherry Beach Rd. south of Harbert. One of our fav southern MI beaches. Tiscornia Park is north, just across the river from Silver Beach (St. Joseph) and away from the crowds. If you just want to walk the pier it's only steps from the parking lot. Take 63 across the bridge in St. Joseph. Turn left on Momany and follow to Upton Drive. Upton turns into Marina. Take Marina to Rigdeway, to the park. Pay to Park. (you can also use this pass for Lions Park) No lifeguard. 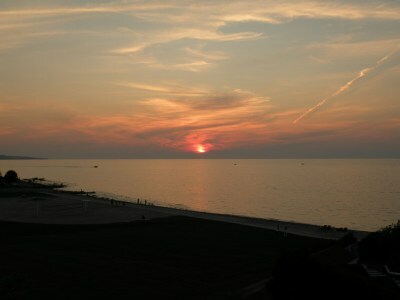 Covert Park is located between St. Joseph and South Haven. Even on the crowded days you'll find a private spot of your own. This is really a good beach to get away from it all. Take I-196 to exit 13. At the bottom of the ramp go right, pass through stop sign and continue straight to park. Pay to park. Weko Beach in Bridgeman is 900 feet of white sandy beach. The boardwalk winds over the dunes giving you sweeping views of the coastline. Trees next to the concession stand allow you to relax and picnic in the shade. Pay to park. Take Red Arrow to Bridgeman. Turn west on Lake Street which-dead ends at the park. 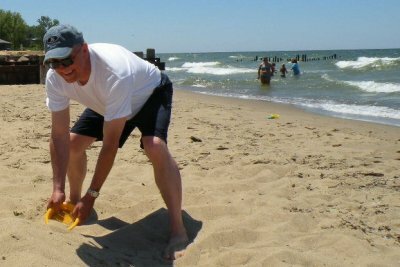 Visiting the state parks along Michigan's west coast allows you to visit some the larger beaches in Michigan. Many have miles of beach to explore making it easy to find a cozy romantic spot. Several are open all year for enjoying fall colors and winter activities. Warren Dunes State Park A favorite for the Chicago crowd. The traffic is lined-up on weekends in the summer. Try it during the week. You gotta climb Tower Hill! Take I-94 to exit 12 (Sawyer Rd.). Sawyer Rd. west to Red Arrow Highway. Red Arrow north to Park. Pay to park. Grand Haven State Park One of the most beautiful in the state. It is busy in the summer but you can park in town and take the boardwalk to the beach. They host a fun kite festival every year usually in May. Take 31 into town to Jackson Street. Jackson turns into Harbor which winds around to park. Petoskey State Park This 303 acre state park is located on Little Traverse Bay between Petoskey and Harbor Springs. 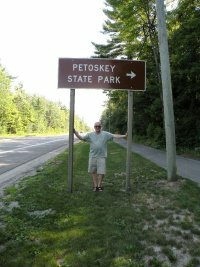 This scenic park is also the place to find the treasured Petoskey Stone. Pack a lunch and enjoy the day exploring and finding these 350 million year old fossilized gems. Sleeping Bear Dunes National Lakeshore This park is a national treasure. Located in the northwest corner of the lower peninsula with over 50,000 acres along Lake Michigan that will take your breath away. Here is the link to this amazing Michigan park. And talking of best beaches, this page would not be complete without a quick mention of, and pointing you to what some call the best beaches in the world located in the Seychelles Islands in the Indian Ocean. What Are Your Favorite Beaches In Michigan? 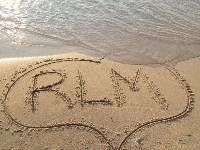 Do you Know Of A Great Lake Michigan Romantic Beach? From Beaches In Michigan Back To Romantic Lake Michigan home.